How old is this hoglet? 'Sponsor a hedgehog' gift packs are thoughtful alternative presents for Birthdays, Christmas, Wedding gifts or other celebratory occasions. You can order a sponsorship pack for yourself or for someone else. Who doesn't love a hedgehog? The gift pack contains information about your chosen hedgehog, a photo of the hedgehog, information about Prickles Hedgehog Rescue, a Certificate of Sponsorship and a little gift. 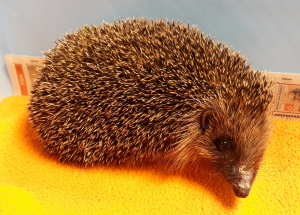 You will receive a 6 month update on the progress of that hedgehog, and another update after 12 months, as the sponsorship period expires. 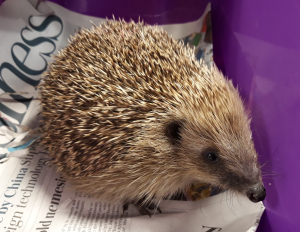 Funds raised from sponsorship helps to pay for food, medication and general care of the hedgehogs. 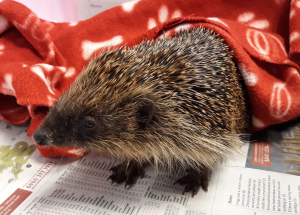 The hedgehogs we have up for sponsorship are our ‘ambassadors’, each has its own story but represent the many hedgehogs we have in our care at any one time. The ambassadors will change from time to time as they get released back to the wild. 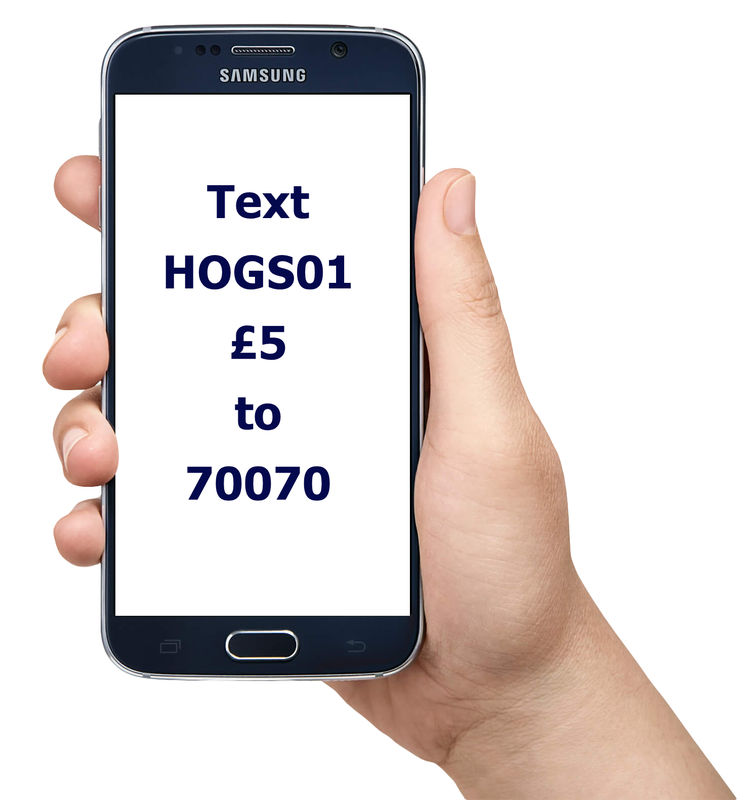 We are offering the opportunity to sponsor a hedgehog for £30 a year. Gift packs will be sent to you (the purchaser) unless otherwise stated. If it is a gift, please email us after you have completed the purchase with the name and address of the recipient so we can send the follow up letters directly to them. "Jammy Dodger is a cheeky chappy who got in a sticky situation when he got acrylic glue all down one side of his body. The glue has set hard and burnt some of his skin and he needs daily baths. Will you sponsor Jammy Dodger’s rehabilitation?". Your sponsorship will help Jammy Dodger recover. Hooter is a gorgeous old girl who was found in a gutter with a horrendous face injury and a severe infection in her nose. She is so sweet-natured and deserves a second chance in her later years. Will you sponsor Hooter back to health? Your sponsorship will help Hooter get better. Petal’s beautiful nest was disturbed by builders and she was callously thrown across the garden with her 5 babies. They have all been admitted to Prickles for treatment. Will you sponsor Petal’s recovery? Your sponsorship will help Petal recover. Your sponsorship will help Tyson recover. Donations are secure via Paypal. You no longer need a Paypal account and can pay by a number of different methods. © Prickles Hedgehog Rescue. All rights reserved.